You have to enjoy your time spent outside with your kids, especially in Cyprus where playgrounds can be found in some of the most magnificent locations, on the beach next to a nice promenade. Parents will find lovely rides, by the sea, with memorable sunsets, quiet beaches with shallow waters, restaurants and coffee shops to relax and rejoice the best Mediterranean cuisine. Children will be entertained by the large playgrounds and they will love to spend their time on the beach or riding a bicycle on the long promenade. Our last fantastic location can be found in Chloraka – Paphos between Laura beach Hotel and Azia Hotel Resort. The outdoor playground has a large parking just in front of it. It is very spacious and has one of the most fantastic sea views. The location make it perfect for a day out with the kids, in Cyprus, as it is situated on a long promenade by the sea with lots of interesting places to see around. The playground has swings, rides on toys, seesaws, a nice play area structure with slides, climbing paths and various activities. Unfortunately in the hot summer days, parents will have to choose to go early mornings time or late afternoon hours as the playground does not have any shadow. A day spent outdoor is the best opportunity, parents have, to let their children run and play all day long. So don’t forget to bring with you bicycles, roller skates, scooters, balls, everything you need so children do not get bored and to come back home after they spend their entire energy. The most beautiful beaches with shallow waters are close so no matter winter or summer, take with you your sand toys and be prepared to lay on the sun, for at least one hour. Near to the playground, on the promenade towards Laura Beach Hotel, you can take your time to tell your kids the story behind the Agios Georgios Museum. Agios Georgios caique, captained by EOKA Georgios Grivas in November 1954 landed with a large supply of arms and munitions to start the uprising against British colonial rule. 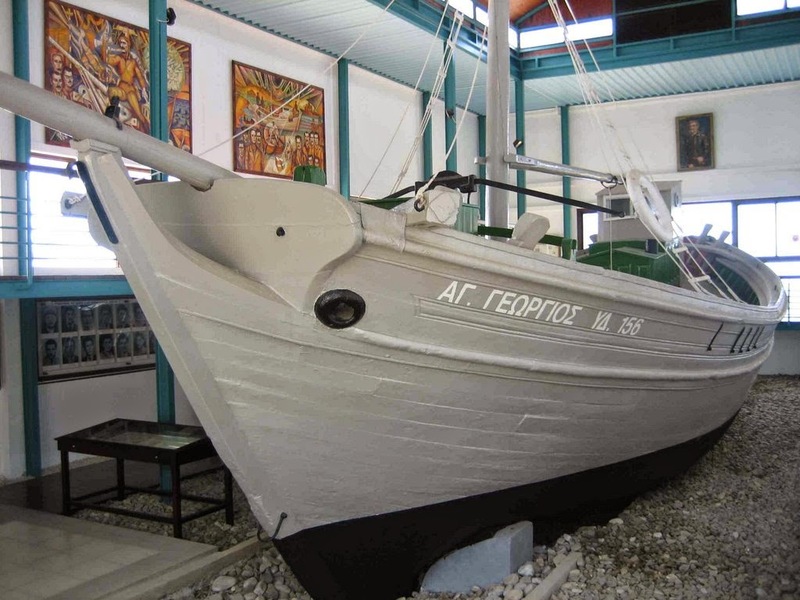 The spot where he landed on his boat is now a museum with the boat itself as the prime exhibit. Grivas and his band were finally arrested attempting another landing two months later. The museum’s walls document their capture and subsequent trial and make for some fascinating browsing. The site is known as “Grivas landing” is easily identified by the large Agios Georgios church build to commemorate the event. On winter time many of the restaurants on the beach are closed, so be prepared to take with you some snacks for the trip. Anyway there are plenty of good food choices for restaurants with playgrounds either on Coral Bay or Kato Paphos area. Have a look on the beautiful pictures and if you are not living close to the playground choose this destination for your next weekend to do something different! Lots of sunny days form Izzy the Cypriot Lizard!